Basidiomycetes produce a wide range of structurally diverse bioactive compounds. Their medicinal application is well-acknowledged, but basidial fungi are generally underestimated and disregarded in the agriculture, despite numerous basidiomycete-derived antifungals and nematicides detected within the most basidial fungi taxa. Bioactive antifungal metabolites – both high (peptides) and low (terpenoids, steroids, organic acids, etc.) molecular weight compounds – produced by basidial fungi have a potential for further application following to high effective strobilurins heading the world fungicide market. Partially the neglect of basidiomycetes is predetermined by more simplicity for other producers’ groups to maintain in culture and to apply at a large scale. 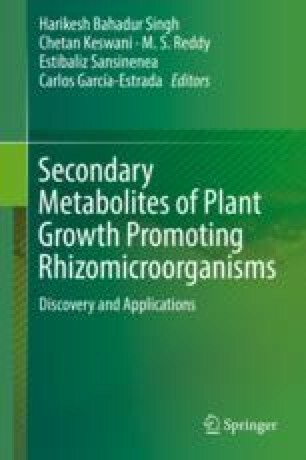 The chapter presents an overview of various chemical classes of basidial fungi secondary metabolites with the focus on active against plant pathogenic fungi and nematodes, addressing chemical structure, biosynthesis pathways, history of discovery, and aspects of action. Screening approaches and prospects and limitations in plant growth promotion for sustainable agriculture for the basidiomycete-derived bioactive compounds are discussed. Financial support by the Russian Science Foundation (RSCF) to Elena Voronina (program 14-50-00029) is gratefully acknowledged.